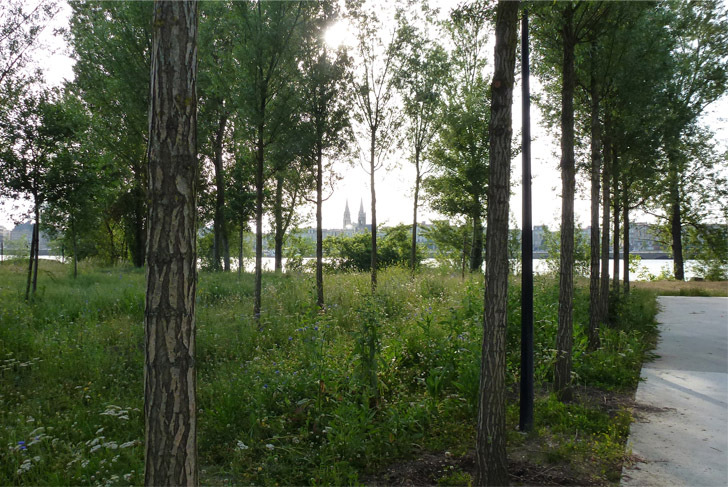 The Park aux Angéliques that we have been developing along Bordeaux's right bank is the product of a long process. Being well familiar with the Bordeaux territory upon which we have worked for over fourteen years, we have revised our usual approach in order to harmonize with the long gestation period of the city and its territory. 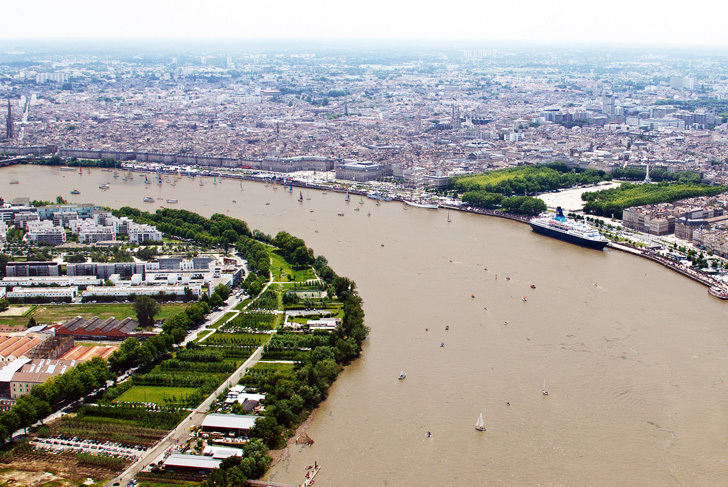 Within the framework of the official landscape guidelines set up for the city of Bordeaux in 2002, we were led to take into consideration in our reflections the larger Garonne River Plan established by the state. In doing so, the idea of placing a park in the city center emerged. The development of the park along the right bank was gradual. Its configuration is particular, benefiting from a landscape thinking more often used in the creation of large territories. It borrows a form of rusticity that gets straight to the point, structuring the future development of the site in a sustainable way by progressively adapting to its evolutions and transformation. As a result, through this creation of a very large park, we have contributed to the recomposition of the city center and to the transformation of how it is used. 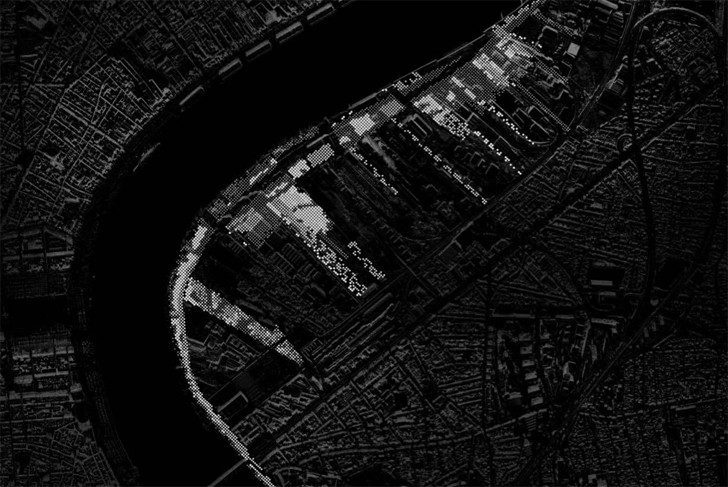 The transformation of the right bank, like all major urban changes, will take place over a period of tens of years. From the start, the project anticipates this process through a very pragmatic approach of gradual substitution. 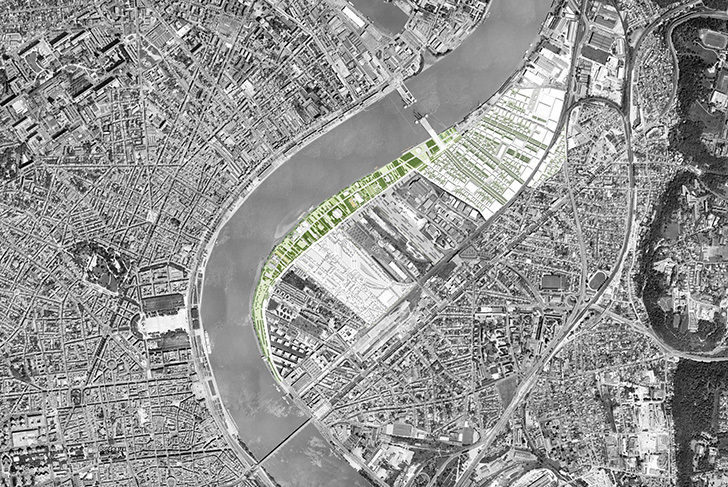 Whenever opportunity allows, each new surface area acquired by the city is immediately planted. The actual material of the landscape is as a result made up of an accumulation of wooded areas that, as they grow, demonstrate the traces of time. The way in which the acquisitions spread out means the park will keep the trace of its successive planting phases. Phases which create the impression of a forest divided up into a grid-like pattern, with empty squares without any trees, “younger” squares with trees in the phase of early growth, and “older” squares with trees in a state of full maturity. We participated in the creation of two portions of the project with meager financial resources (the Queyries segment). As such, the Brazza segment will constitute the last segment to be completed. 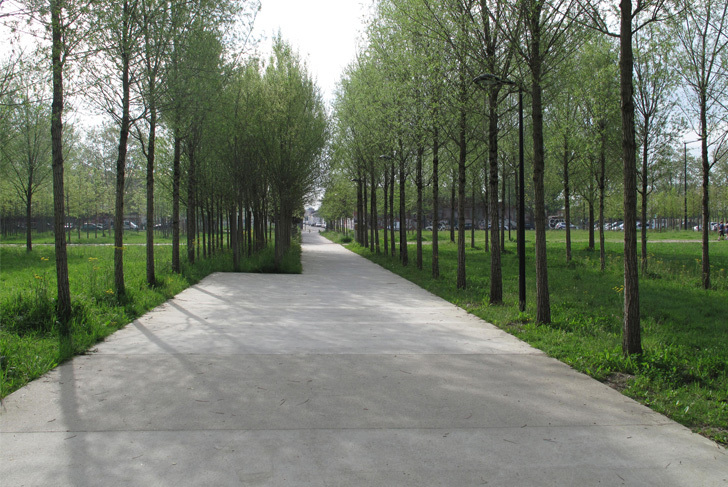 A first planting phase of poplar trees has already taken place during the spring of 2015. The completion of the entire Brazza segment will take place in accordance with when the parcels of land free up, the issuing of temporary use authorizations, and the available annual budgetary resources. This requires an approach of proceeding slowly and simply, without a premature design, without overloading the project. This economy of means brings a conceptual rigor to the design, and a readability that seems to be ever more appreciated. Today, many Bordeaux residents no longer feel the need to leave the city in order to find a bit of fresh air, remaining in town where they can take advantage of the public spaces. Those well-established spaces on the left bank certainly, but more and more the spaces coming to prefigure the large park of the right bank as well.